This elegant necklace by Thomas Sabo, made of 925 Sterling Silver, is a seamless fusion of dazzling sparkle and timeless design. A fine line of delicately faceted Cubic Zirconia stones sits around the border of the artfully cut Cubic Zirconia stone in the centre. 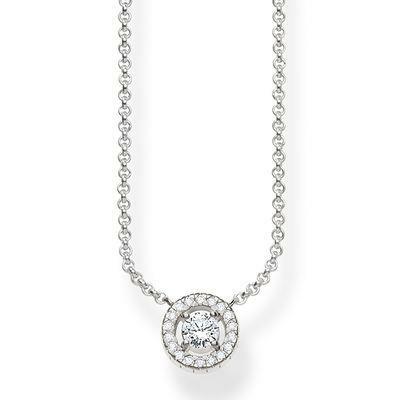 This versatile necklace is perfect for adding subtle sparkle to any occasion. With lobster clasp and extender chain.